Creating a spokesperson for apprenticeships to reach out to young people aged 16-18 in Kent. Responsible for concepts, copywriting, art direction and twitter management. Kent Training & Apprenticeships – Concepts, copywriter and art director. How do you reach out to young people to get them interested in apprenticeships? 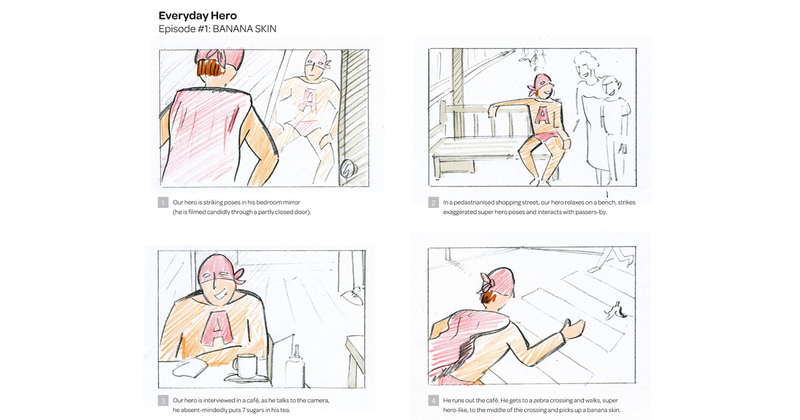 Introducing ‘Super A’, an everyday hero who developed his super powers through workplace training. Super A engages with his audience through Facebook and Twitter, answering questions and signposting job vacancies. I wrote, art directed and co-directed three campaign videos and was responsible for Twitter management for the first three months. Exhibition graphics and a series of campaign graphics and illustrations were also created for use in social media and on the KTA website. 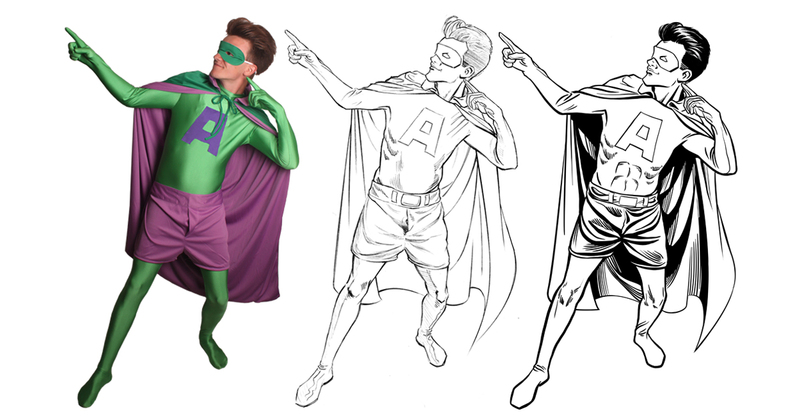 The whole production was done on a shoestring – guess who sewed the ‘A’ on Super A’s costume. Nearly 6 years on, the client’s in-house design team are still using Super A to promote apprenticeships in Kent. Video, social media and exhibition graphics.